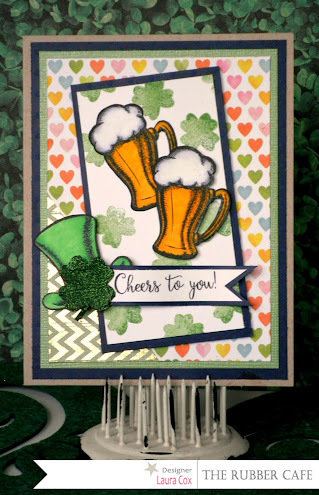 The Rubber Cafe Design Team Blog: Happy St. Pattys! First Layer: 5" by 3&3/4" piece of green pearl cardstock matted on 5&1/4" by 4" piece of navy blue cardstock, then glue to base using Scrap Happy Glue. 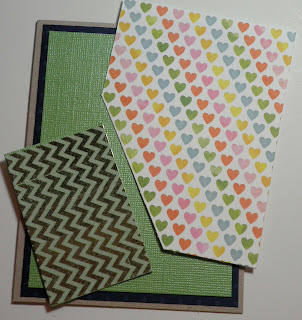 Glue the chevron piece down on the bottom left corner first, then line up the heart layer and glue it down. 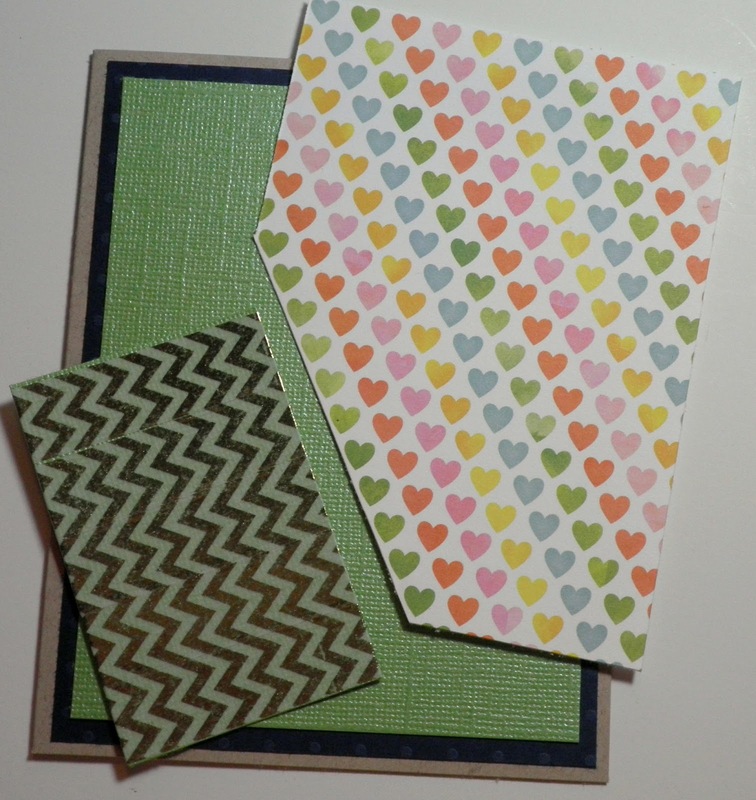 Center Panel: 4" by 2&1/8" piece of white cardstock and randomly stamp with green shamrocks. Mat on a 4&1/4" by 2&3/8" piece of navy blue cardstock. TIP: To get the shaded look of the shamrocks, ink the shamrock stamp with Mowed Lawn Distress Ink, stamp it off on a piece of scrap paper, then with a very light touch, roll the edges of the stamp around on the ink pad avoiding the middle.....when you stamp, some areas will be darker and give you a shaded effect. Stamp beer mugs and hat in Memento Black Tuxedo Ink, and color with markers and fussy cut out. Stamp shamrock with green ink, fussy cut out, and apply a thin layer of Scrap Happy Glue, let dry. After a few minutes go back and apply You're So Fine Moss Green glitter to shamrock. Stamp sentiment in Black Tuxedo ink, trim to banner shape and mat on blue cardstock. Foam tap center panel to card and an angle, add beer mugs (foam tape bottom right mug), then foam tape hat, shamrock and banner. 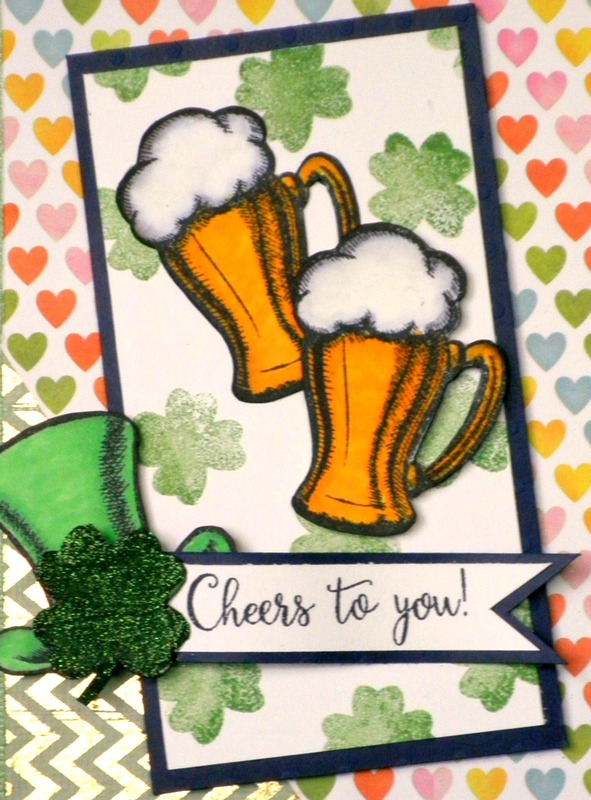 You have a festive fun card as a congrats, or just a fun, thinking of you card! Thanks for stoppin' by today....enjoy all the amazing project still coming your way this month!